With Oprah Winfrey speaking in Vancouver on Jan. 24, B.C.-based Lunapads is donating 400 reusable menstrual products to girls in Africa. Using the #Pads4Oprah hashtag, they hope to get Oprah's attention about how providing feminine hygiene products help keep African girls in school. The cultural, religious, and gender bias ignorance that creates significant barriers to education for young women absolutely rails me. Zealots putting a bullet in the brain of a 14-year-old girl because educated women are a threat to Stone Age-thinking makes headlines. While not making the same headlines, equally troubling ignorance prevents young women from getting consistent access to an education. UNICEF reports that "in countries where menstrual hygiene is taboo, girls in puberty are typically absent for 20 per cent of the school year?" Missing school or resorting to unhygienic means to manage their needs is unacceptable. Keeping girls in school make communities better in every sense. 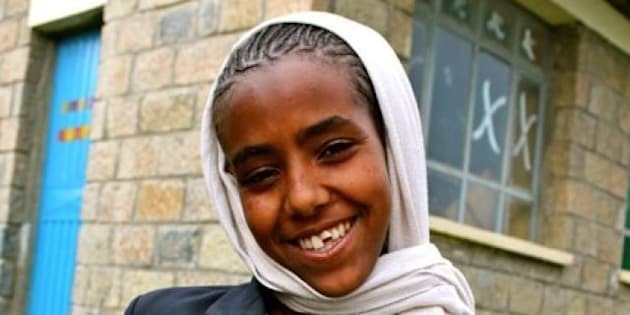 Educated girls marry later and have fewer children, earn 25 per cent more income, become leaders of their community and break the cycle of poverty. Where there's a real world problem, there are social entrepreneurs working towards the solution. When I think about entrepreneurs, I think of qualities like curiosity, creativity, courage, determination, hustle, humility, and above all having a burning desire to be agents of change. For the past decade, Lunapads has been working hard to build a new culture around menstruation. Despite being a natural part of life, the issues surrounding menstruation go unheard and are often overlooked. Lunapads is trying to ignite a shift in attitude, encouraging women to celebrate their periods instead of being embarrassed by them. Shaw and Siemens have been building an admirable business and have achieved B Corporation certification. This means the business is audited to ensure they're meeting rigorous standards of social and environmental performance, accountability, and transparency. The co-founders have also acknowledged this is the year to achieve some big and audacious goals. With this "go big" mantra, they have one of the world's most influential changemakers in their sights. Impressing Oprah Winfrey is priority number one for January 2013. The values and vision alignment between these women is undeniable. 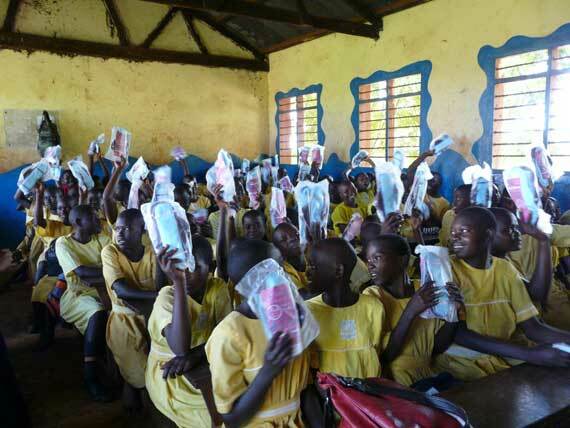 Lunapads, in partnership with AFRIpads, has sent over 122,000 girls reusable supplies through their Pads4Girls and One4Her programs. The 400 donated kits will be made by AFRIpads, a Uganda-based company whose startup Lunapads mentored, and today employs 65 local Ugandan women. Getting on Oprah's radar is a challenge, but with shared values like this it shouldn't be monumental. 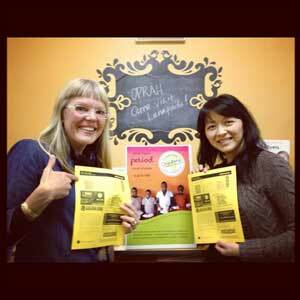 With Oprah speaking in Vancouver on Jan. 24, they are donating 400 Lunapads to girls in Africa. Using the #Pads4Oprah hashtag, they hope to get Oprah's attention about how providing feminine hygiene products help keep African girls in school. This small act helps developing countries overcome poverty, hunger and political strife. "Oprah is all about championing socially challenging issues and creating change. Menstruation is something that people don't want to talk about, despite the fact that we all have periods no matter what race, religion or economic background," said Shaw. "We are massive supporters of Oprah and believe that she truly is the best person to help us all find our voice in challenging and starting the dialogue about this global issue."